Sandpaper can be confusing. Sandpaper grit is the number of abrasive particles per inch on a piece of sandpaper with #24 being the coarsest and #1,000 being the finest. And then there is commercial grade vs. industrial grade sandpaper. What does it all mean and how do I know if I’m purchasing the correct sandpaper for the job? Here is some basic information to help you figure it all out. 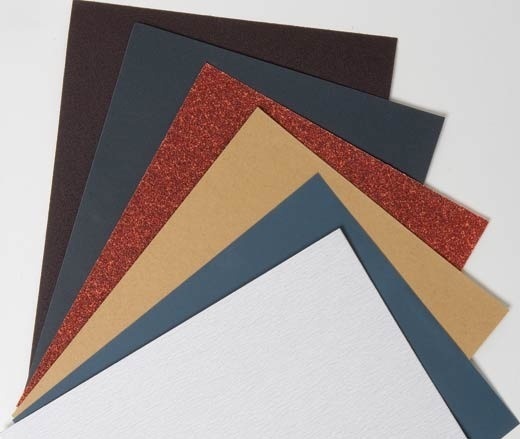 Commercial grade sandpaper is sold at hardware stores, lumberyards and home improvement warehouses, while industrial sandpaper is generally available only in large rolls for production type businesses. So more than likely, the sandpaper you will be using will always be commercial grade. It’s important to select the correct grit of sandpaper for the job. Using a paper that is too coarse can easily damage your project while using one that is too fine doesn’t do anything but waste your time and energy. #50-#30 is very coarse grit, #80-#60 are universal grades and can generally be used for almost any project while #180-$100 are the best for second or third sandings. Depending on what you are sanding it sometimes is necessary to “go through the grits.” This is a process where you use progressively finer pieces of sandpaper in order to obtain a smoother finish. This helps to remove scratches left by the previous sanding. Have any quick tips or tricks when it comes to using sandpaper? Please share them with our readers in our comments section below. I appreciate that you explained “going through the grits”. I have been looking at buying different sanders, and sand paper. I was unsure how to tell a good sandpaper for the woodwork I do. I might try using finer papers one step at a time to help identify what I should buy.